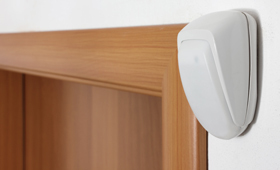 Pro-Tec Alarms Ltd will ensure your property is secure with our bespoke security systems. 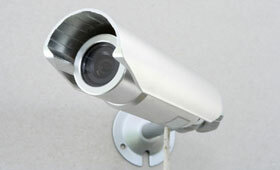 All of our security systems are bespoke to suit the each individual client’s requirements and specific needs. 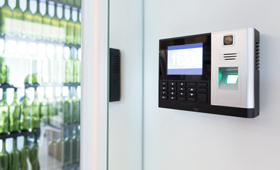 We provide, install and maintain security systems for commercial, domestic and industrial properties throughout Swansea and the surrounding areas. Pro-Tec Alarms Ltd takes pride in providing a first class range of services that are accessible 24 hours a day, 7 days a week. 24 Hour Service – You can contact us 24 hours a day. We always do our upmost to respond to all enquires as quickly as possible. 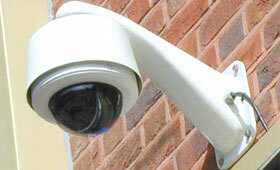 Free Advice – We offer free advice on installing security systems to all of our clients. Pro-Tec Alarms Ltd will be happy to answer any questions you may have and provide any helpful information you require, free of charge. Free Consultations – All our clients receive a free consultation meeting to discuss the requirements for their new or existing security system. Free Surveys – We will conduct a free survey of your property and its security system. Free Quote – We will provide a free quotation following the consultation and survey. References Available Upon Request – If you would like to take a look at our credentials we will be happy to provide references from Pro-Tec Alarms Ltd’s previous clients. Pro-Tec Alarms Ltd is a local service provider based in Swansea with a friendly team that will strive to find the best security solutions for you. We can provide the ideal products and services for domestic, commercial and industrial clients. Our team are all highly skilled and trained professionals with years of experience in the industry. We are able to carry out installations and maintenance of security systems throughout Swansea and the surrounding areas at any time of day. Due to the high quality and reliable security services we provide we have rapidly built up a strong reputation in the area. Our skilled and trained team at Pro-Tec Alarms Ltd have years of experience and are able to carry out installations and maintenance of security systems, whenever you may need it. Our reputation is strong and has built up rapidly for providing reliable security products and services. We offer competitive prices on all of our installation and maintenance services. If you are working with a strict budget give us a call for a free consultation today. If you have an enquiry regarding our security systems for properties in Swansea, to arrange a free quote or consultation or to employ Pro-Tec Alarms Ltd today, call us on 01792 894 995, fill out our contact form or email us at protec1@sky.com and a member of our team will be happy to help!